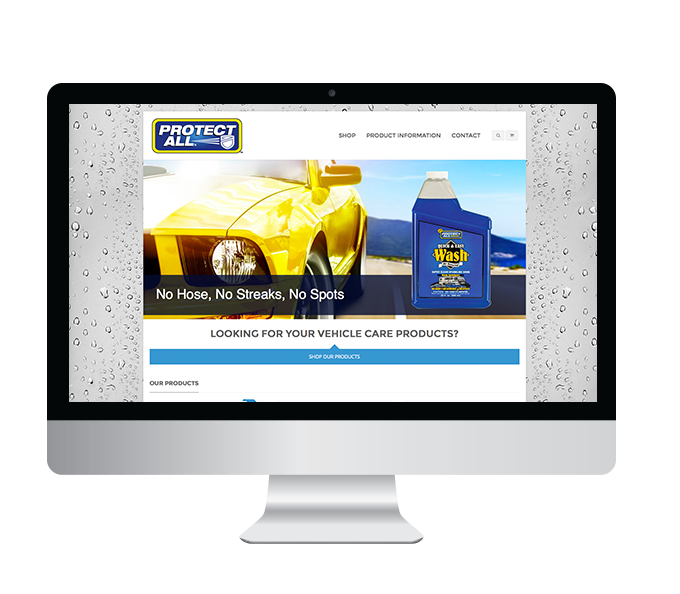 Protect All is an international B2C seller of vehicle care products, such as polishes, waxes, and lubricants for RVs, cars, boats, motorcycles, and households. As a subsidiary of Thetford Corporation, Protect All targets both American and Canadian shoppers with their branded, high-quality products. Protect All’s old eCommerce site had become difficult to maintain for the admin staff, and the design was not aesthetically pleasing. Customers had a hard time finding products they were looking for because of how cluttered and outdated the site was. 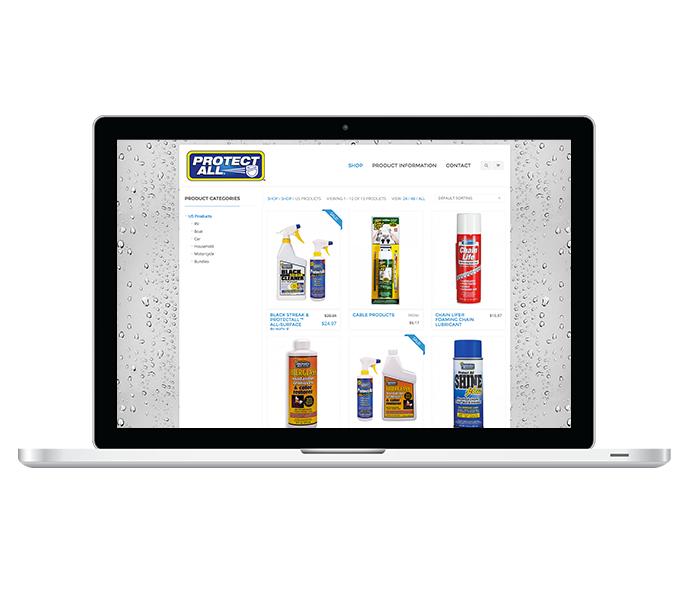 Additionally, Thetford’s company and dealer direct websites were recently migrated to the WordPress platform, and they wanted to maintain platform consistency with Protect All’s website. Logic migrated Protect All’s existing eCommerce site to a new platform, and configured the theme and plugins to match Thetford’s brand and aesthetic. Logic’s in-house graphic designer created mock-ups for the home page, product category page, and an individual product page, which was used as the basis of the entire site’s look-and-feel. On many product pages, there is an additional section with product-specific information, such as product description, usage, and benefits. 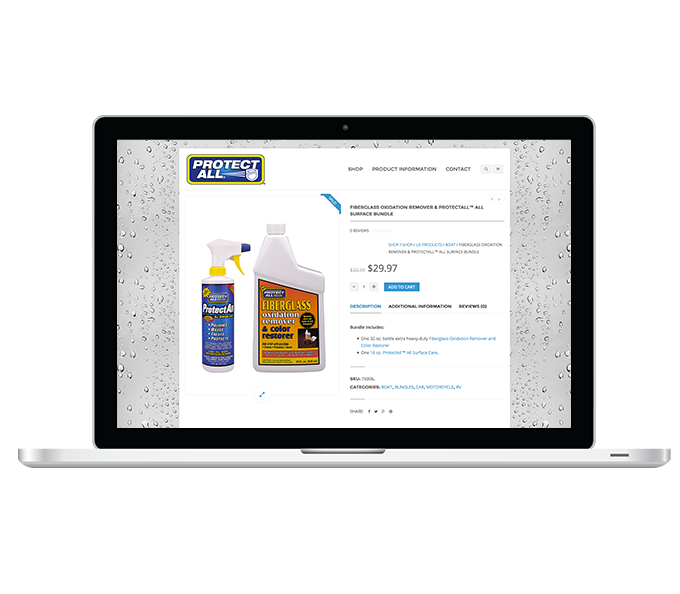 Additionally, Protect All’s new site has a “product information” resource section with FAQs, wash and care tips, product guides, and other general information. Previously on the old site, all of this information lived on separate pages and weren’t connected to any product pages. Now product information can be found directly on the product pages, while the general resource section is a well-organized library and easy to navigate. For shipping, Protect All needed rules that prevented shoppers from shipping products outside of their respective countries. Successfully-placed orders are automatically fed into Protect All’s CRM system, from which the company’s order fulfillment team can quickly pull order information.